For over 35 years Edward Williamson has represented those who have suffered harm at the hands of large product manufacturers, banks, drug companies, unsafe motor carriers, and offshore drillers. Since founding the Edward A. Williamson Law Firm in 1976, the firm has obtained relief for clients in excess of $80,000,000.00 throughout a career dedicated to honest, zealous, and high quality-highly effective legal representation. Mr. Williamson has achieved an AV rating by the universally recognized lawyer rating service, Martindale Hubbell Law Directory. 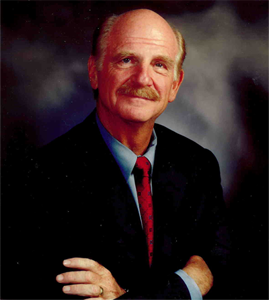 In addition, Mr. Williamson was awarded recognition as a Fellow in the National College of Advocacy under the auspices of the American Association of Justice in September 2004. Education: Mr. Williamson received his B.A. degree from The University of Southern Mississippi, and his Juris Doctorate from The University of Memphis, Cecil C. Humphrey's School of Law. Mr. Williamson graduated the National Judicial College in 1988. Throughout his career, Mr. Williamson has been substantially involved with the American Association of Justice and the Mississippi Association of Justice, formerly known, alternately, as the Association of Trial Lawyers of America and the Mississippi Trial Lawyers Association. Mr. Williamson has held virtually every office and committee chairmanship in the Mississippi Association of Justice, including the office of President from May of 1998 to June of 1999, and is currently a Lifetime member and a member of the Leaders Forum. In addition to his professional involvement, Mr. Williamson is an active alumnus and supports The University of Southern Mississippi. He has served as Chapter President, Board Member, Officer, and President of the International Alumni Association (1998-1999). Mr. Williamson was inducted into The University of Southern Mississippi Alumni Hall of Fame on October 18, 2002, has served on The University of Southern Mississippi board and continues to serve on the past-president counsel. Also, Mr. Williamson is active in the Democratic Party, having served in 1996 as a delegate to the Democratic National Committee and continues to be actively involved in the State, and local Democratic Party, and he currently serves on the Philadelphia Municipal Democratic Executive Committee.